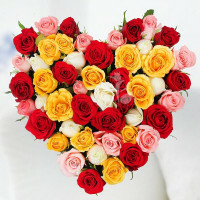 Valentine’s day as we all know is the celebration of love. It’s a day to appreciate the special person in your life who is the reason for the brimming smile on your face all the time. 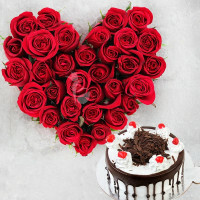 14th February is the annual day celebration that people celebrate by sending messages of love and affection to the beloved ones, friends and families. So let this day be the most memorable day of your life. 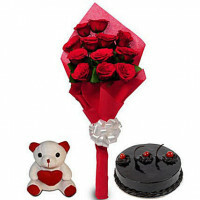 Prevail distance and flourish your love with our timely delivery of valentine gifts in Gurgaon. On this day, thousands of lovers pamper their loved ones with beautiful flower bouquets, personalised gifts, tempting chocolates and cakes. Valentine’s celebrates the notion of love, that’s why it is commentated for an entire week. Each day in the week dedicates to a particular day and every day has its significance. 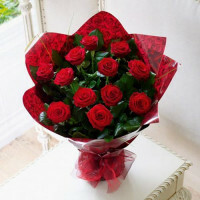 The first day is Valentine Week is Rose Day. 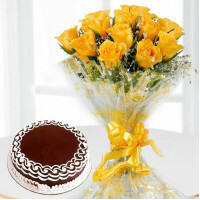 Lovers celebrate this day by giving their partner beautiful roses along with goodies. 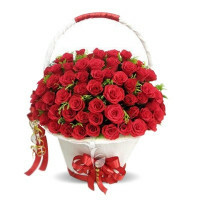 Propose day is the second day of Valentine Week. 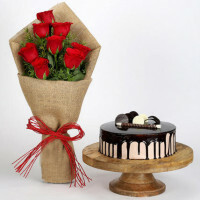 On this day, lovers express their deep emotions and feelings by proposing them with delicious Valentine cakes and gifts. 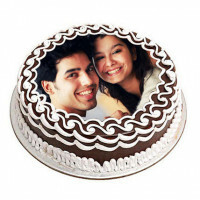 Just after the Propose day, it’s the time to add sweetness in the relationship. 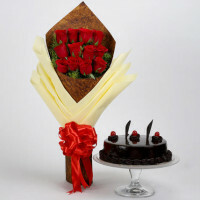 9th Feb is an entire day dedicated to chocolates.There are also some special valentine chocolates for your loved ones. After adding the sweetness, pamper your love with cuddly soft teddy bears. 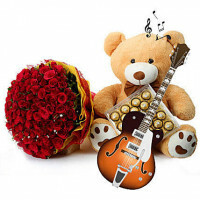 Female are fond of sweet teddies so surprise them with cute teddy bears in the most romantic way. 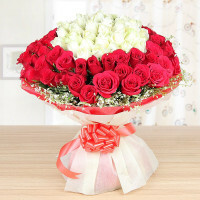 Promise day is the fifth day of Valentine Week. On this day, lovers promise to love and help each other at every point in life. Promise plays an essential part in the relationship. So, promise your partner to keep them happy and protected with utmost dedication. 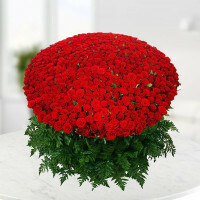 The sixth day of Valentine week is Hug Day. On this day, lovers give a warm-lovely hug to their partners. Hugging is a symbol of protection and care. Also, it reduces stress. The Seventh Day is kiss day, the purest representation of love and kindness. 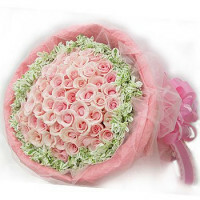 Finally, on fourteenth February lovers celebrate Valentine Day, exchange gifts and flowers. Also, promise to help and support each other in every aspect of life. 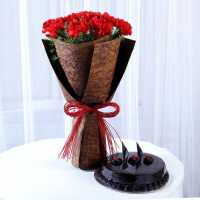 Are you looking for some creative range of Valentine gifts to surprise your partner? 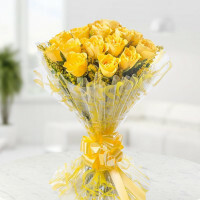 If yes, then Gurgaon Online Florist is the place for you. 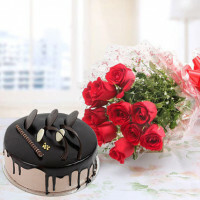 Ranging from beautiful flowers, cards, cakes, chocolates to personalized coffee mugs and photo frames, the exclusive range of their gifts is simply amazing. 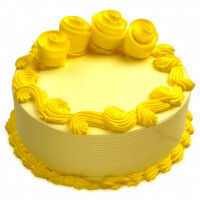 You can also consider their beautiful gift combos for delivery in Gurgaon which include soft toys with chocolates, flowers and greeting card and flowers and cake combos for her. With us, you are sure to make an everlasting impression on your loved one. 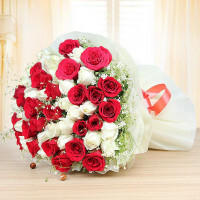 We provide both same day and mid-night delivery services to wish your beloved a very Happy Valentine’s day. 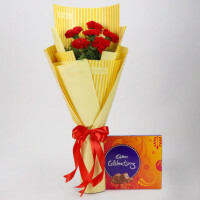 With Gurgaon Online Florist surprise your loved ones with outstanding flower bouquets, mouth-watering chocolates and personalised gifts. 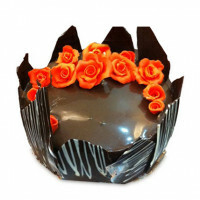 A glance through our wide segment of Valentine’s day gifts to Gurgaon is sure to leave customers spoilt for choices. 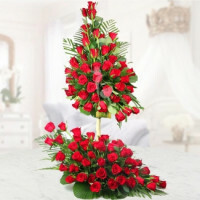 All the gifts featured here are of sheer beauty adorn with an additional value of romance that expresses your heartfelt love and emotion to your lover.